While a wooden crate can be perceived as the most important component of shipping your goods, the other materials you use for shipping can be just as crucial in getting your goods to their destination in one piece. One of the most important parts of ensuring your custom crate makes a successful journey is the plastic wrap. There are two main kinds of plastic wrap that may be used in packaging and shipping, including shrink wrap and stretch wrap. While they may appear to just be plastic, they actually have different functions and should be used in different situations. As the name suggests, shrink wrap will become smaller to fit the form of the custom crate it is protecting. The layer of plastic protection is placed around the item, heat is applied, and the plastic conforms to the shape and size of the package. Shrink wrap has a number of benefits, including creating a waterproof barrier around the package, holding together any loose items like pallets, and protecting the wooden crate from the elements. Because the plastic is wrapped so tightly around the package, it is important to remember that the items inside will not have any air circulation. Furthermore, if the package will be exposed to heat during its trip, the plastic may shrink more. Unlike shrink wrap, stretch wrap does not adjust to fit the size and shape of the package. Instead, it is wrapped tightly around the wooden crate to hold together any loose items. As the name suggests, stretch wrap will stretch when it is pulled. Because stretch wrap doesn’t create an airtight barrier around the package, it will not completely protect the crate from moisture, dirt, or dust, but it can do a decent job of ensuring everything stays in one place. Both shrink wrap and stretch wrap will have their own benefits and time for use. Before you package your item for shipping, discuss with us if shrink wrap or stretch wrap is right for your situation. Is a Custom Crate Really Necessary? When you’re preparing to ship something, you’ll want to ensure it reaches its destination as safely as possible. To do so, you’ll probably need to purchase a crate that fits the unique needs of the goods being shipped. While it can be tempting to purchase a cheaper, more standard crate option, there are actually a number of reasons why a custom crate might be necessary. The number one reason you might want to splurge on a custom crate is to prevent damage from occurring to the goods you are shipping. With a wooden crate made to uniquely fit the dimensions of your item, it will have better protection. Your custom crate will take into account the weight of the goods or products you’re looking to ship. This means that you don’t need to worry about the crate breaking while it is being transported or moved around. The design of the crate considers exactly what is going to be put inside the wooden crate, so it can account for things like size and weight. When your goods or items are being transported, they’re constantly being moved. The workers who are in charge of getting your shipment from Point A to Point B aren’t likely to deal with your package with the delicacy you would like, so you need to do all that you can to protect it from shifting and getting damaged. A custom crate considers the size of the item you’re shipping and accounts for the possible shifts and movements it can make. For some things, you may be able to get away with just a regular, standard crate. If you’re not attached to the item inside and don’t mind if it gets a little dinged up in the moving process, a store-bought crate could fit your needs. But if you’re looking to safely ensure your good arrives at its destination completely unharmed, a custom crate is absolutely necessary. If you’re looking to send products, goods, or items industrially, you’ll want to ensure you’re packing correctly. You’re not going to want to throw everything together and hope it makes its way to your destination. There are a few steps you’ll want to take to ensure everything runs as smoothly and efficiently as possible. You’ll want to give all your small items an independent box of its own or compiled with similar objects. Unless your item is large enough to fill a crate alone, smaller boxes keep everything together and add another level of protection. Select boxes that can fit your items comfortably while supporting the weight of the goods. Whether your items are fragile or not will determine how you package them, including what support and additional materials you will need. 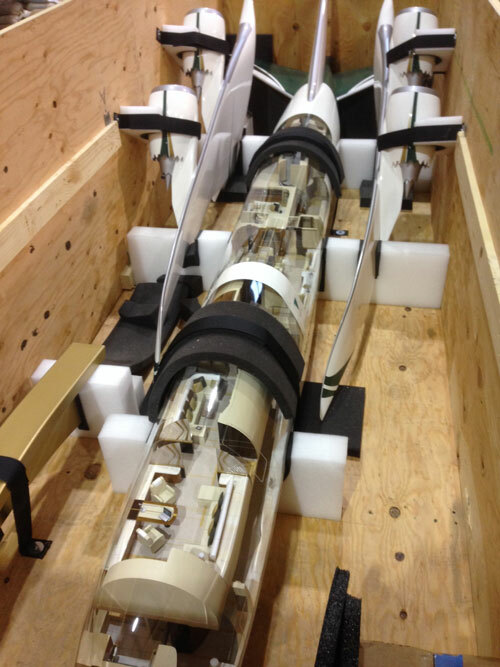 If there is a high chance that the product could break while moving to its new location, it is considered fragile. Some examples include glass, household goods, or electronics. Non-fragile materials are difficult to break, including paper and canned goods. If you simply throw all your items in a box and let it go, they will probably become damaged during your travels. You’ll want to ensure you are providing enough support to your items, especially if you have considered them to be fragile. Be sure your boxes have the right protection, including foam or bubble wrap. You will also want to ensure that your boxes are completely packed before you close them up. Using things like packing paper, bubble wrap, packaging peanuts, and other similar items can prevent the goods inside from sliding around. If you’re transporting multiple boxes, the easiest way to do so is through a pallet. To ensure all your boxes are kept together, they will need to be secured with a plastic wrap. You’ll want to completely cover the pallet and your boxes with enough shrink wrap that there isn’t a chance it will come loose. For assistance with custom crates or shipping, contact Crate Tech today. Sometimes the items you are looking to ship are either too large or too small. The standard “one size fits all” shipping box has slowly become a method of the past. The crate experts over at Crate Tech have determined that custom wooden crates are the best way to go for shipping virtually anything you need! Custom wooden crates provide a way for you to safely store and ship items that traditional packaging techniques cannot accomplish. Take a look at this list that we have compiled that displays the benefits you can take advantage of when using custom wooden crates for shipping your items. Why Use Custom Wooden Crates for Shipping? One of the perks about custom wooden crates is that they can be built around just about any item that is in need of shipping. 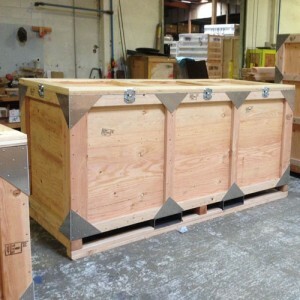 In order to meet customer’s specific needs, it is important that a crate can be built for any specification required. Crate Tech prides themselves on being able to meet any crating need desired from a customer. The beauty of custom wooden crates is that they ensure the protection of your item during transportation. To restrict any movement and reduce minor damages, the crates are built around whatever it is you may be shipping. This guarantees quality protection because your valuables will have a snug fit in the crate. If you’re a DIY type of person, or simply just enjoy recycling and reusing products then custom wooden crates are perfect for you. 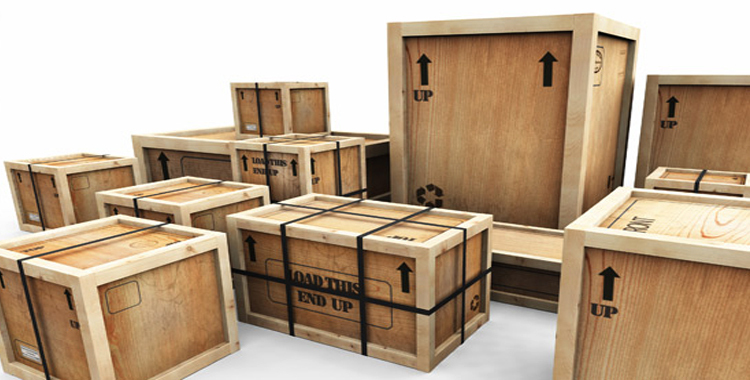 Once your item is safely transported, it is easy to break your custom crate down and reuse the material. In the past, we have seen customers reuse their custom wooden crates to create bookshelves, desks or even additional storage crates! In Need of a Custom Wooden Crate? Crate Tech is here to serve all of your custom crate needs! Committed to “service beyond expectation,” our craftsmen have been building wooden crates for over 20 years. We are constantly meeting the needs of our customers by being able to take on jobs of any size. The benefits of using custom wooden crates to transport your items outweigh other traditional methods of shipping such as the use of pallets. If you’re located in Seattle, Wichita, Chicago or Kingston, NC and are in need of a custom wooden crate then get in touch with Crate Tech today! Give us a call at 253-872-6857 to see what how we can be of service to you! From managing a facility to owning your private company, all types of industries can benefit from using custom wooden crate packaging. Many business owners spend a good portion of their time trying to figure out ways to better secure and effectively store their products for packaging or shipping purposes. Our packaging experts over at Crate Tech have came up with a couple benefits that business owners and managers alike can take advantage of. What are the advantages of using custom packaging? When it comes to heavy goods or equipment, wooden crates are the way to go. Forget the “one size fits all” motto, custom crates are built to fit anything in need of being packaged. In addition, wooden crates guarantee good strength because of the excellent weight distribution they have to offer. Wooden crates also offer endurance and have proven to last through years of wear and tear. In terms of storage and transportation, wooden crates are great because they can easily and safely be stacked and stored. Taking advantage of your moving truck or warehouse space is essential. Custom wooden crates can be designed to ensure proper stacking and ultimately take up less space. One of the golden perks of using custom wooden crates is their affordable cost. Wooden crates are constructed through a simple and more natural process which translates to a lower production cost. If you’re transporting fragile items, then it is vital to make sure they will be secure and steady. We see a lot of this when for e.g. plumbers ship a lot of their more fragile and expensive items. Wooden crates offer a great deal of protection and are very stable. You can rest easy when shipping items of high value with custom wooden crates. The packaging and crate industry is one that requires great interest and niche expertise. Crate Tech, Inc. is currently committed to “service beyond expectation,” and brings 20 years of wooden crate experience to the table. Constantly meeting the needs of our valued customers, Crate Tech excels in providing the best custom wooden crates around! Crate Tech now has 4 locations across the nation, in Seattle, Wichita, Chicago, and now in Kingston, NC. To get started with your own custom crates, get in touch with a Crate Tech expert today by giving us a call at 253-872-6857! How Do Aluminum Gussets Help to Protect Crates? There are many different types of wooden crates used for business and industry. Lightweight one-time use crates can be more economical than investing in a heavy duty reinforced crate. The type of crate you need is as unique as your business. When you need a crate that can go the extra mile, then a wooden crate with aluminum gussets can offer the most cost effective and safe option. Here are a few things you should know when it comes to the world of reinforced crates. A typical wood crate is constructed entirely with wood and wood reinforcements. When you need a basic crate, this is one of the best options. Wood crates normally offer one large compartment for storage but a divided wooden crate can offer some organization options. For some tasks, you might need a crate that can offer a lot of strength and durability. Aluminum gussets allow the corners of a crate to be protected from damage while adding strength to the entire crate. Gussets can make a crate last for years in many cases. When applied at all joints and seams, gussets can provide a lot of protection from forklifts and other machinery. For items that are more delicate, an aluminum gusset crate is a reliable and cost effective choice. Product loss can mean a big hit in the profits of your company. Skimping on packaging can be a costly mistake. Using high-quality crates that are meant to take more than the load you are putting on them will ensure that your business doesn’t have to deal with damaged products and the resulting loss of profits. You can make sure that your customers get what they ordered delivered in as good condition as it was when it left your care. Crate Tech has many standard crates and pallets available to meet your packaging needs. If you need a custom crate order, we would be happy to discuss and then design the perfect crate for your shipment. We have many locations to serve you, including Seattle, Chicago, and Wichita and offer prompt and courteous service to all our customers. We can install caster wheels, dividers, and more into any crate we make or offer on our site. For those that attend trade shows and need specific crates for furniture and art, we offer lightweight crates with caster wheels. There are different materials used in constructing shipping crates and boxes. There are also different designs of boxes and even pallets can be used to ship freight or to stack shipments on. There are even custom crates that can be designed to hold any shape or sort of material. So when looking at all the different options, it’s important to know what the best crates are for shipping. Packaging and freight is a vital industry to the economy of the United States. The ability to ship supplies long distances sustains industries and companies who manufacturer products that need to be shipped. That’s why those in the crate and packaging industry manufacture crates of different sizes which are used to ship all sorts of materials. Crate Tech takes the “custom” to the max, and the biggest benefit of wooden crates is that they are able to be customized to fit any order or specification. Quality crate companies pride themselves on being able to meet the customer’s needs. Sometimes standard crates are able to complete a job successfully, and in these times each shipping job is treated individually, because each one has its own specific needs. The benefit of pallets is that freight is able to be stacked on them in an efficient way, and pallets are the preferred method of shipping for a number of different jobs and scenarios. 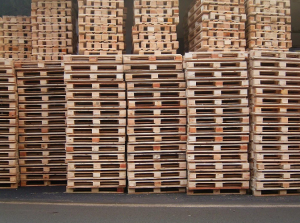 There is a time and place for using pallets as opposed to crates and it is best to consult with a crate or shipping company as to which type of crate option is best for a certain job. Storage units, work tables, and racks, are other items that have been constructed in the past to be able to meet the needs of companies that need to ship an item. At times wooden crates are even paired with metal or aluminum fabrications to be able to sustain the needs of a customer with a more rigorous job requirement. The one thing that’s certain is that custom crates fill a great need in a job that has specific and technical requirements for shipping. The packaging and crate industry is one that requires experience. Crate Tech, Inc. brings 20 years of experience in the wooden crate industry to the table and is currently committed to “service beyond expectation.” Clients have been pleased with the service and products from Crate Tech for years and continue to be amazed by their commitment to excellence. Crate Tech now has 4 locations across the country, in Seattle, Wichita, Chicago, and now in Kingston, NC. 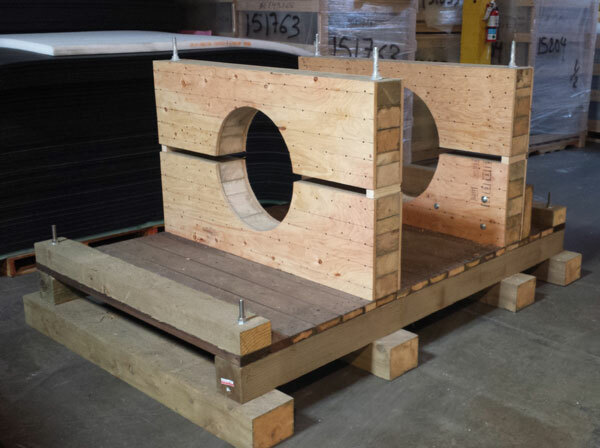 To get in touch with Crate Tech today and get started with custom crates, give them a call at 253-872-6857! Those who are involved with shipping are more aware of the many different types of boxes and crates that are available for shipping. Sometimes, because of weight or safety reasons, a metal or aluminum crate might be the best bet. 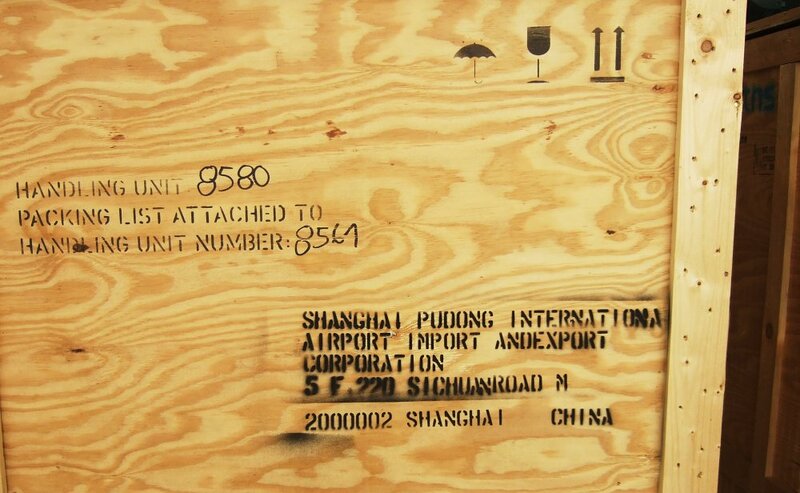 Much of the time, however, wooden crates and even custom ones are going to be a safe bet for shipping. But what makes wood so popular as the material to be used for shipping materials across the country, and even around the world? Wood is a renewable resource, and depending on the type of wood used to make a particular crate, some trees can grow to within cutting height within a few years. This makes the production of wooden crates less of a strain on the environment than materials that would take a long time to make and produce. Wood is also a material that is easy to construct abstract shapes out of. This makes it ideal for the custom crates that Crate Tech specializes in designing. Small and even large items can sometimes call for an extraordinary crate shape to be able to accommodate the shipping material most effectively. The best way to go about doing that is with wood, which can be used to construct crates of all shapes and sizes. The last blog post here at Crate Tech referred to how wooden crates can be re-used in a variety of creative ways to keep them from going to waste. This is one of the exciting benefits of using wooden crates for shipping and freight purposes, the crates used are able to be customized into useful purposes, for residential as well as commercial use. Wooden pallets have even been spotted, painted and sitting in the front of houses. Crate Tech, Inc. is one of the premiere providers of custom packaging and shipping in the United States and around the world. Their impressive resume includes a list of all sorts of unique shipping jobs, such as the giant helmets used before Super Bowl XLVIII, where the Seahawks were the victors over the Broncos. Crate Tech can be used for a variety of different shipping purposes and needs, and the best way to get quoted is to get in touch with them! Call Crate Tech today at 253-872-6857! In an age where technology is advancing at a supreme rate, it’s quite amazing to think we still use wood crates. Wood has been around, well, forever and here we are. Still using them to ship our beloved goods across the world. The reason we still use it is fairly simple. It works and it works well. I’m sure we’d all like to skip the shipping aspect and have our goods teleported directly to our door, but until Star Trek becomes a reality, wood crates are going to have to do. It’s not difficult to ensure your product arrives safely with a wood crate, but in case you’re worrying, just be sure of the following. If you want to ship something in a safe manner, void of any damage, wood crates should be your choice. They can stand years and years of hard labor and still hold their strength for another go. As an added bonus, they help us reduce our waste by the constant recycling. Can’t say that about cardboard can you? Shipping something that is prone to water damage is nerve-wracking. Water is pesky and can seep through the tiniest of crevices. Usually not a good mix for shipping products. This, however, can be avoided by making sure you have moisture proof crates. Most are treated this way, so the search shouldn’t be too difficult. This may not seem like a way to keep your products safe but think about it. Would you rather have a neatly organized, pleasant stack of square boxes or a pile of oblong shaped objects falling over each other? Organizing the crates prevents them from moving around too much. Movement often causes damage, so in this case, it’s cool to be square. Corrosion tends to break down certain elements over time, but not these crates. Due to the possibility to face all kinds of extreme temperatures, make sure your crates are treated to resist corrosion. Also, don’t forget about those annoying bugs. It seems like a losing battle, but there is a way to stop nasty, wood boring insects from destroying your cargo. Wood that is resistant to termites and similar critters should be sought after. All in all, just choosing wood crates for you shipping needs is a good start to ensure your products arrive safely. Just make sure of a few key details for a stress-free delivery. Reclaim, convert, recover, reprocess, reclaim, recycle. The list goes on, but those are just some ways to express the term “re-use”. Sustainability seems to be all the rage these days. What are you going to contribute to this growing trend? Well, good news. You don’t have to be a scientist and invent some new form of biofuel. All you need is a desire for some free furniture and a surplus of wooden crates. Wooden crates have their place in society as wonderful protectors of our goods, but what happens after shipping? It’s entirely up to you, but here are five ideas to get you started. Between the wife, the kids and the dog sniffing around, shoes scattered all over the ground can be a nuisance. You could get one of those fancy shoe racks at the mall, or you could go the ecological route and re-use those wooden crates you have. Just paint them any color you like and hang them on a wall for a decorative and practical solution. You know that old, rustic window you have collecting dust in your basement? Or how about that spare hunk of mahogany in the shed? Well, fret no more. Just slap those on a few crates to have your very own hip coffee table. Now just place your Bob Dylan lyric book on top and some coasters and you’ll be too cool. And you thought those skateboards from your youth were wasted. Not anymore. Take those wheels off, put them on some wooden crates for some easy under bed storage. You may need to make some adjustments depending on how high or low your bed sits, but that’s a small price to pay for something that’s free. Start by purchasing six bottles of wine. Drink one. Now cut six, wine bottle shaped holes in the bottom your wood crate. Mount the crate on the wall (holes facing out of course) and place those five (or four) remaining bottles in their respective holes. You know have a place to keep your wine for the night until it’s all gone. This one is a classic but never gets old. Just mount your crates below the window, fill in with your choice of dirt and let nature do the rest. Don’t forget to plant something in there, or else you will just have a box full of dirt underneath your window.